It has taken years to assemble such a profound, knowledge and giving Team of professionals in the real estate industry. Whether you seek to buy or sell a home, our Team of Experts are fully conversant with every aspect of what you’re about to go through. And more importantly, making the entire process as simple and stress-free a possible is first and foremost on each and every one of our minds. Linda Dear has brought together a group of professionals with decades of experience in real estate and the Central Maryland area. Whether it’s the search of a new home, the detailed process of buying/selling, or using every available advantage to market your home The Dear Team has the knowledge and ability to assist you. Linda Dear & The Dear Team has earned the respect of clients and peers alike! I was born and raised in West Baltimore. My family moved to Howard County in 1966 and I have been a resident since that time. My wonderful husband, Bob, and I have three children: Brandon, Kristin and Ryan and have four grandchildren, Madison, Braeden, Ava and Wesley. My hobbies include reading, walking and spending time at the beach with my family. I think the best part of being a Realtor is that my work touches people’s lives in a very profound way. Nothing pleases me more than to see a client’s face light up when I help him or her purchase or sell their home. I attribute the success of my business to the relationships that I have established throughout the years. I have a varied background which I feel is a great benefit to my clients. For instance, having worked in the construction industry, I am able to help my clients in the construction of new homes as well as give good sound advice on additions or upgrades they might make on their existing homes. In addition, my experiences at the Howard County Planning and Zoning increased my knowledge of development and construction in Howard County. My clients benefit from my knowledge of the entire Baltimore Metro area. Ben is committed to the highest level of integrity, excellence, and professionalism. He has been a member of the Dear Team since 2007 and has 14 years of real estate experience. He is a seasoned veteran who has successfully navigated the best and the worst real estate markets. His experience and knowledge is the vehicle you need when considering the purchase of a home or the sale of your personal property. His commitment and drive is evident in his work, involvement with his family, friends, and community. Ben is a graduate of Mt. St. Joseph College and UMBC where he was on scholarship for his athletic talents in baseball. Honor and loyalty are engrained in him from his education and athletic experiences. He lives his life by the "Golden Rule". Ben is a teacher and coach by nature. He makes sure that his clients receive as much education as possible about the buying and selling processes. His goal is to have satisfied and well informed clients that refer him to their family, friends, and associates. that refer him to their family, friends, and associates. Melissa has been a member of the Dear Team since 2005 and has 20 years experience in the real estate industry. She came to us from a local builder where she managed community and custom home sales. In her new homes career she developed a vast knowledge and is now a huge asset to our clients who want to experience building their dream home. 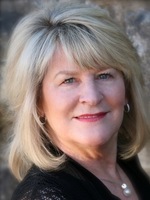 Through her education and experience she has mastered the art of staging homes and is our in-house staging consultant. She helps our sellers prepare their house for the market, quickly and economically. Our clients experience fewer days on the market and get the top of the market value. Buyers just love to work with Melissa! She is excellent at determining your needs and placing you in the appropriate home for you! From helping you understand your financing, to the settlement table and beyond, she is by your side every step of the way. I was a military spouse of over 20 years, and during that time have faced numerous challenges and the excitement of picking up and moving to different parts of the world. My experiences in the complicated process of military relocation have given me a perspective of buying and selling homes that is uniquely beneficial to families. My goal is to provide excellent real estate services that create a life time relationship with my clients. If anyone knows how to move… it’s me! I have been in real estate business since the mid 90’s. First starting out as a Title Agent and now realizing my passion as a Realtor. I promise personal care, commitment and outstanding service. Moving several times myself, I understand the complexities of moving from different parts of the Country. I believe the more I know the better I am to help you. Since 2005, I have obtained the following designations: Accredited Buyer Representative (ABR), At Home with Diversity course, Certified Distressed Property Education (CDPE), Short Sale & Foreclosure Resource (SFR), e-Pro, NAR GREEN, and Certified Credit Smart. Your satisfaction is my greatest reward! Ryan, although born in Chicago Illinois, has his roots in Maryland. Raised in Columbia, Md. he attended Wilde Lake High School and later graduated from the University of Maryland with a Bachelor of Science Degree in Criminal Justice. Ryan, lives in Catonsville with his wife Beth, his 2 sons Josh and Ben and black lab Rocky. He began his real estate career with Re/Max Advantage in 2008 and has found a passion in working with first time home buyers to secure their new home. His knowledge of the Baltimore Metropolitan area and backing of over 30 years of knowledge & experience within the Dear Team is a measure of the quality of service you can expect when listing your home with Ryan. In his free time he can be found golfing, doing yard work, hanging out with his family and volunteering at his Church's high school youth group. Diane, her husband John and 4 children, and have lived in Howard County for 22 years. Diane’s personal experience in buying and selling homes began with the purchase of multiple investment properties increasing her family’s real estate portfolio. Currently she is a partner in Chatham LLC where she is involved in the purchase, re-design, renovation and sale of residential homes. Knowledge she has gathered in the field of investing in real estate, combined with her degree in Finance, set her “Above the Crowd.” Her energy, enthusiasm and knowledge can help you find and re-design that “diamond in the rough”, as well as assist you in preparing and transforming your home when it is time to sell. As I launch my lifelong career as a Realtor I am confident of my success as my team is comprised of eight members with over 30 years of experience. I was recruited to be a member of the Dear Team because of my work ethic, my integrity, community involvement and knowledge of the area. Born and raised in Baltimore I am familiar with the various Counties throughout and the City. Rooted in the area I am a Mt. St. Joe graduate and graduate of CCBC with an Information Security degree. My career in semi-professional football, Professional Arena & Team USA, has taught me discipline, respect and hard work. I have the tenacity to get the job done! A native to Howard County, Becky grew up in Columbia in the Village of Owen Brown. She currently lives in Elliott City with her husband and children. With many generations of Baltimore area natives coming before her,she is very familiar with the surrounding communities. Becky is diving into a new career in real estate after spending the last 23 years in the beauty industry. She worked her way up from front desk staff to hairstylist to salon owner in 10 years. Becky’s customer service skills are unmatched. Always willing to go that extra mile for her clients, she really will make you feel like you are a part of her family. Her clients find her loyal and trustworthy, and she has an attention to detail such that none of the “littlethings” will ever go overlooked. Becky’s clients and customers come first and every single one is made to feel as though they are the most important…because for her, in that moment, that client is indeed the most important person. She is looking forward to helping serve the community and all of their real estate needs. Thank you for taking the time to fill this out, We will be in touch with you.